Words hurt and contribute to the stigma we’re all trying so hard to fight. 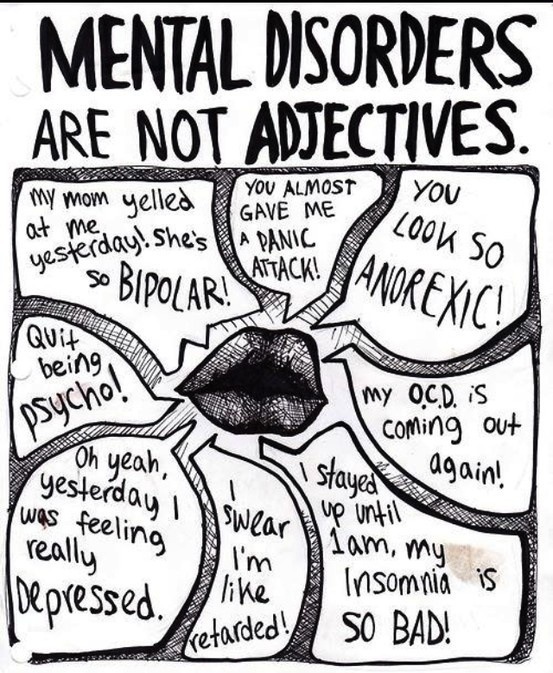 Mental disorders are NOT adjectives. Let’s spread the message. It really offends me when people say things like this! Especially like “I’m going insane!” They don’t know how awful and scary it is to really feel and think that. I am guilty of this. Thanks for sharing! Reblogged this on Adolescent Freak.